Hayasa-Azzi or Azzi-Hayasa (Armenian: Հայասա) was a Late Bronze Age confederation formed between two kingdoms of Armenian Highlands, Hayasa located South of Trabzon and Azzi, located north of the Euphrates and to the south of Hayasa. The Hayasa-Azzi confederation was in conflict with the Hittite Empire in the 14th century BC, leading up to the collapse of Hatti around 1190 BC. Hittite inscriptions deciphered in the 1920s by the Swiss scholar Emil Forrer testify to the existence of a mountain country, the Hayasa and/or the Azzi, lying around Lake Van. Several prominent authorities agree in placing Azzi to the north of Ishuwa. Others see Hayasa and Azzi as identical. Records of the time between Telipinu and Tudhaliya III are sketchy. The Hittites seem to have abandoned their capital at Hattusa and moved to Sapinuwa under one of the earlier Tudhaliya kings. In the early 14th century BC, Sapinuwa was burned as well. Hattusili III records at this time that the Azzi had "made Samuha its frontier." It should be borne in mind that people who view themselves as great civilizations are not always too particular about which group of so-called "Barbarians" they are fighting. Also at times multiple atrocities are blamed on one group as a rallying cry for a current war. invaded Azzi-Hayasa and forced a showdown with its king Karanni (or Lanni) near the city of Kumaha. The passage (in the 'Deeds of Suppiluliuma') recording the outcome of this battle is missing. But almost certainly, the Hittite campaign resulted in the conquest of Azzi-Hayasa, for subsequently Suppiluliuma established it as a Hittite vassal state, drawing up a treaty with Hakkana, its current ruler. The Hayasans were now obliged to repatriate all captured Hittite subjects and cede "the border [territory] which Suppiluliuma claimed belonged to the Land of Hatti." Despite the restrictions imposed upon Hakkani, he was not a completely meek and submissive brother-in law of the Hittites in political and military affairs. As a condition for the release of the thousands of Hittite prisoners held in his domain, he demanded first the return of the Hayasan prisoners confined in Hatti. During their reigns, the cuneiform tablets of Boğazköy begin to mention the names of three successive kings who ruled over a state of Hayasa and/or Azzi. They were Karanni, Mariya, and Hakkani (or Hukkana). Hakkani, married a Hittite princess. When Suppiluliuma had become king himself, Hakkani proceeded to marry Suppiluliuma's sister. My sister, whom I gave you in marriage has sisters; through your marriage, they now become your relatives. Well, there is a law in the land of the Hatti. Do not approach sisters, your sisters-in law or your cousins; that is not permitted. In Hatti Land, whosoever commits such an act does not live; he dies. In your country, you do not hesitate to marry your own sister, sister-in law or cousin, because you are not civilized. Such an act cannot be permitted in Hatti. The kingdom of Hayasa-Azzi remained a loyal Hittite vassal state for a time, perhaps hit by the same plague which claimed Suppiluliuma and his son Arnuwanda II. But, in Mursili's seventh year (three years before Mursili's eclipse - so, 1315 BC), the "lord of Azzi" Anniya took advantage of Pihhuniya's unification of the Kaskas and raided the Land of Dankuwa, a Hittite border region, where he transported its population back to his kingdom. Cavaignac wrote of that period that Anniya "had sacked several districts and refused to release the prisoners taken." Anniya's rebellion soon prompted a Hittite response. The Hittite King Mursili II, having defeated Pihhuniya, marched to the borders of Azzi-Hayasa where he demanded Anniya return his captured subjects. When Anniya refused, Mursili immediately attacked the Hayasa's border fortress of Ura. In the following spring, he crossed the Euphrates and re-organized his army at Ingalova which, about ten centuries later, was to become the treasure-house and burial-place of the Armenian kings of the Arshakuni Dynasty. One of the captured fortresses lay on the west side of the Lake of Van. Despite Mursili's Year 7 and probable Year 8 campaigns against Azzi-Hayasa, Anniya was still unsubdued and continued to defy the Hittite king's demands to return his people at the beginning of Mursili's Ninth year. Then, in the latter's Year 9, Anniya launched a major counter-offensive by once again invading the Upper Land region on the Northeast frontier of Hatti, destroying the Land of Istitina and placing the city of Kannuwara under siege. Worse still, Mursili II was forced to face another crisis in the same year with the death of his brother Sarri-Kusuh, the Hittite viceroy of Syria. This prompted a revolt by the Nuhašše lands against Hittite control. Mursili II took decisive action by dispatching his general Kurunta to quell the Syrian rebellion while he sent another general, the able Nuwanza (or Nuvanza) to expel the Azzi-Hayasan enemy from the Upper Land. After consulting some oracles, the king ordered Nuwanza to seize the Upper Land territory from the Hayasan forces. This Nuwanza did by inflicting a resounding defeat against the Azzi-Hayasa invaders; henceforth, Upper Land would remain "firmly in Hittite hands for the rest of Mursili's reign under the immediate authority of a local governor appointed by the king." While Mursili II would invade and reconquer Azzi-Hayasa in his tenth year, its formal submission did not occur until the following year of the Hittite king's reign. The people of Nahasse arose and besieged" (name indecipherable). "Other enemies and the people of Hayasa likewise. They plundered Institina, blockaded Ganuvara with troops and chariots. And because I had left Nuvanzas, the chief cup-bearer, and all the heads of the camp and troops and chariots in the High Country, I wrote to Nuvanzas as follows; 'See the people of Hayasa have devastated Institina, and blockaded the city of Ganuvara.' And Nuvanza led troops and chariots for aid and marched to Ganuvara And then he sent to me a messenger and wrote to me; 'Will you not go to consult for me the augur and the foreteller? Could not a decision be made for me by the birds and the flesh of the expiatory victims? And I sent to Nuvanza this letter: 'See, I consulted for you birds and flesh, and they commanded, Go! because these people of Hayasa, the God U, has already delivered to you; strike them! And as I was returning from Astatan to Carchemish, the royal prince Nana-Lu came to meet me on the road and said, 'The Hayasan enemy having besieged Ganuvara, Nuvanza marched against him and met him under the walls of Ganuvara. Ten thousand men and seven hundred chariots were drawn up in battle against him, and Nuvanza defeated them. There are many dead and many prisoners. And when I arrived in Tiggaramma, the chief cup-bearer Nuvanza and all the noblemen came to meet me at Tiggaramma. I should have marched to Hayasa still, but the chiefs said to me, 'The season is now far advanced, Sire, Lord! Do not go to Hayasa.' And I did not go to Hayasa. Mursili, himself, could now take satisfaction in the reduction of the hostile and aggressive kingdom of Azzi-Hayasa once more to a Hittite vassal state. After Anniya's defeat, Azzi-Hayasa never appears again in the Hittite (or Assyrian) records as a unified nation. Hayasa as a fighting power was practically eliminated by the expedition of Mursili II. 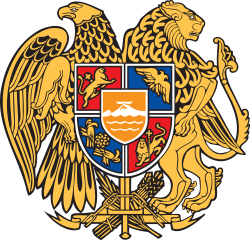 The similarity of the name Hayasa to the endonym of the Armenians, Hayk or Hay and the Armenian name for Armenia, Hayastan has prompted the suggestion that the Hayasa-Azzi confereration was involved in the Armenian ethnogenesis. The term Hayastan bears resemblance to the ancient Mesopotamian god Haya (ha-ià) and another western deity called Ebla Hayya, related to the god Ea (Enki or Enkil in Sumerian, Ea in Akkadian and Babylonian). Thus, the Great Soviet Encyclopedia of 1962 posited that the Armenians derive from a migration of Hayasa into Shupria in the 12th century BC. This is open to objection due to the possibility of a mere coincidental similarity between the two names and the lack of geographic overlap, although Hayasa (the region) became known as Lesser Armenia (Pokr Hayastan in modern Armenian) in coming centuries. The mentioning of the name Armenian can only be securely dated to the 6th century BC with the Orontid kings and very little is known specifically about the people of Azzi-Hayasa per se. The most recent edition of Encyclopædia Britannica does not include any articles on Hayasa or Azzi-Hayasa likely due to the paucity of historical documentation about this kingdom's people. Britannica's article on the Armenians confirms that they were descendents of a branch of the Indo-European peoples but makes no assertion that they formed any portion of the population of Azzi-Hayasa. Nevertheless, a minority of historians theorize that after the Phrygian invasion of Hittites, the hypothetically named Armeno-Phrygians would have settled in Hayasa-Azzi, and merged with the local people, who were possibly already spread within the western regions of Urartu. ↑ Trevor R. Bryce, The Kingdom of the Hittites, Oxford University Press. 1998, p. 160. It should be stressed that Bryce's Tudhaliya III is equivalent to Wikipedia's Tudhaliya II. There is some disagreement among Hittitologists over the precise number of kings named Tudhaliya. ↑ Anne Elizabeth Redgate, The Armenians, Wiley-Blackwell, 2000 ISBN 978-0-631-22037-4, p. 24. ↑ Bryce, pp. 158-63; Trevor Bryce records Azzi-Hayasa's known activities against Hatti but never once mentions its origins. In contrast, he openly discusses the southern Italian and Western Anatolian origins of the Sea Peoples on page 369 and 372 of his book. Vyacheslav V. Ivanov & Thomas Gamkrelidze, "The Early History of Indo-European Languages", Scientific American; vol. 262, N. 3, 110-116, March 1990.